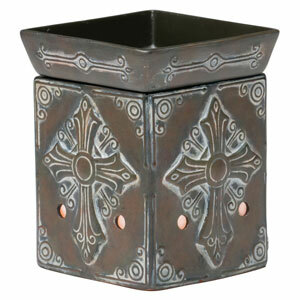 “Charity” is another one of the best selling candle warmers in the Scentsy Collection. It features matte antique white finish over slate-like shades of brown, rust and green highlights with embossed Spanish-style details. It’s a really nice looking warmer and available to buy online for $30 in the online store.